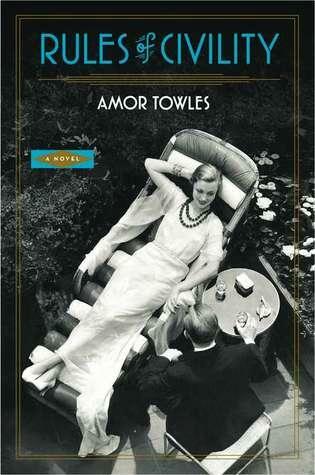 A wonderful debut novel, set in New York City in the 1930’s, it could be compared to The Great Gatsby. The premise of the book was taken using a young George Washington’s "Rules of Civility & Decent Behavior in Company and Conversation" as a guide. The protagonist, twenty-five-year-old Katey Kontent, lives in a boarding house with her friend Evelyn Ross and works in a secretarial pool at a law firm. Katey and Evelyn, living independently for the first time, go out into the glamourous Manhattan night scene and become flapper girls. The girls cross paths with the handsome (and rich) Tinker Grey a few hours before the start of 1938 and they all share a New Year’s toast to “getting out of ruts.” From this point on, the three main characters navigate the upper-class social scene together. Both of the young women fall in love with Tinker, but a tragic accident forces his choice. The novel, as a whole, focuses on Katey’s social life as it evolves rapidly but also on her move up the corporate ladder. Amor Towles did a wonderful job of writing her story and was able to capture the cultural, social, and physical settings of New York City in the thirties. His descriptions brought all of the scenes and characters to life. Also, interesting to note that this book was written by a male, but from a female's point of view. Looking forward to future works by this talented author. Place a hold on the library's copy of Rules of Civility today!